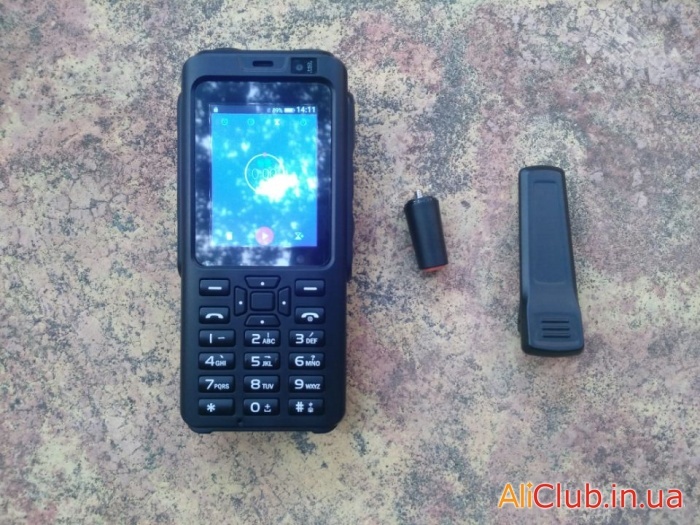 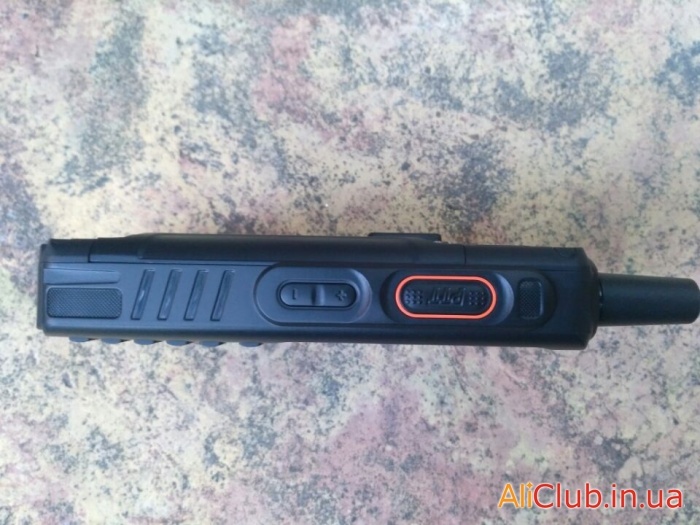 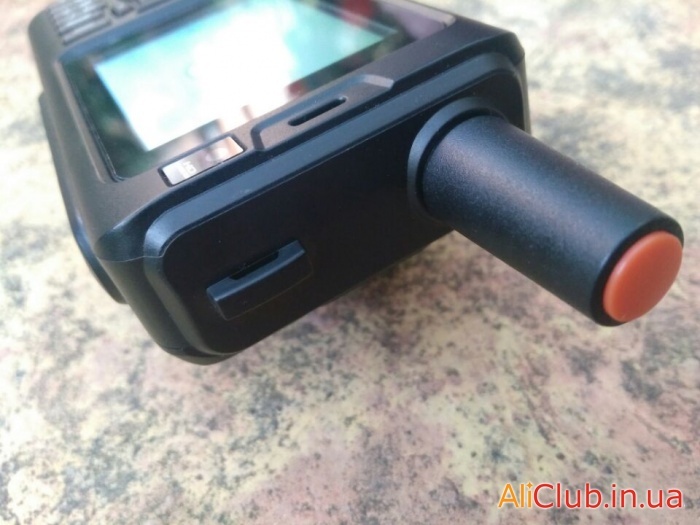 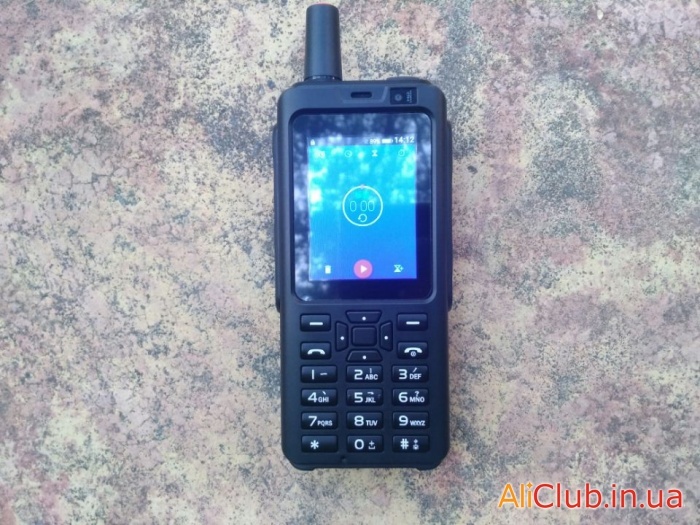 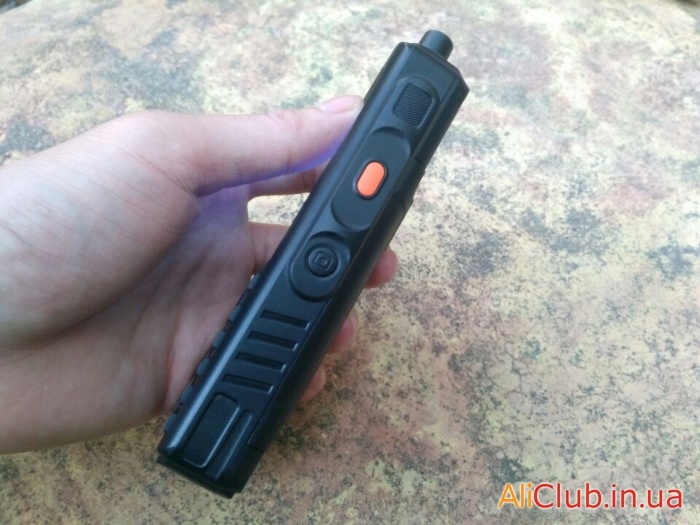 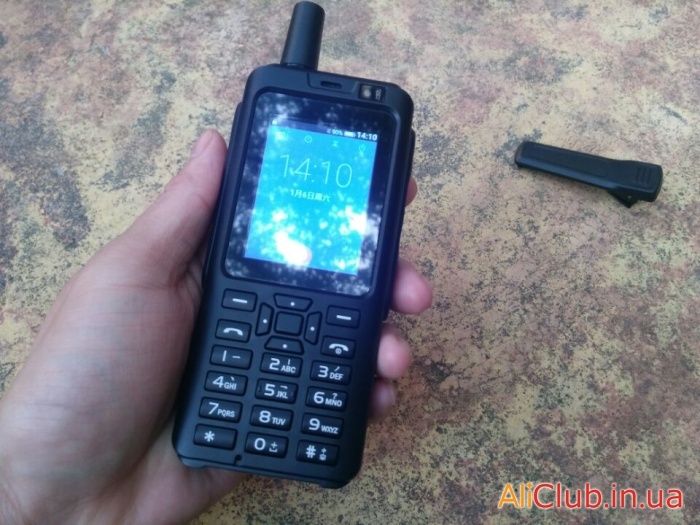 It is worth noting that there is no hardware radio station in the phone, and there is support for 4G LTE Internet, and the application Zello PTT — which works, in fact, as a portable radio station, but with the help of the Internet. 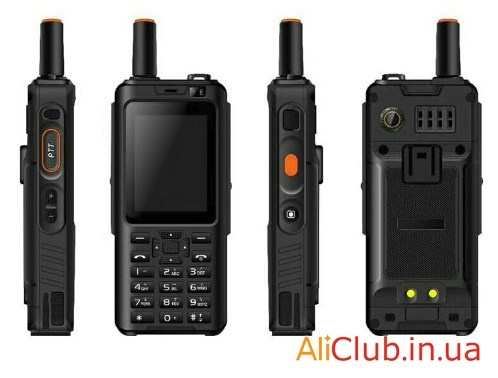 On top of the phone is the lanyard loop, and a removable antenna — a true sense of it are likely small, because the radio will only work within the coverage area of the GSM signal. 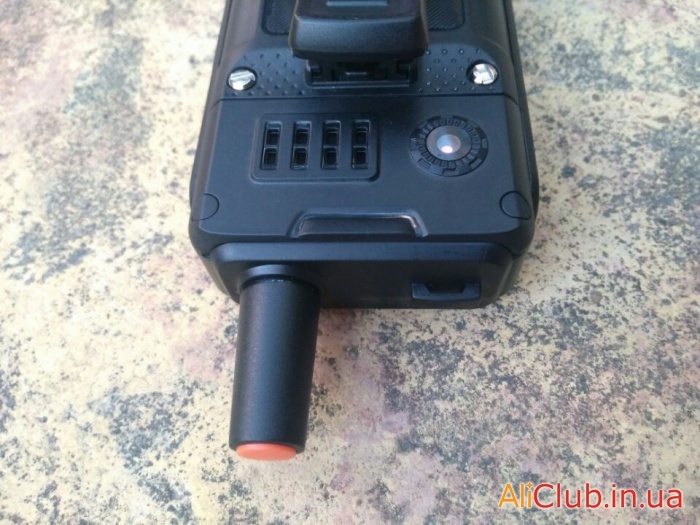 Maybe detachable antenna for better signal reception GSM — then it will have rungee F25 clone justified. 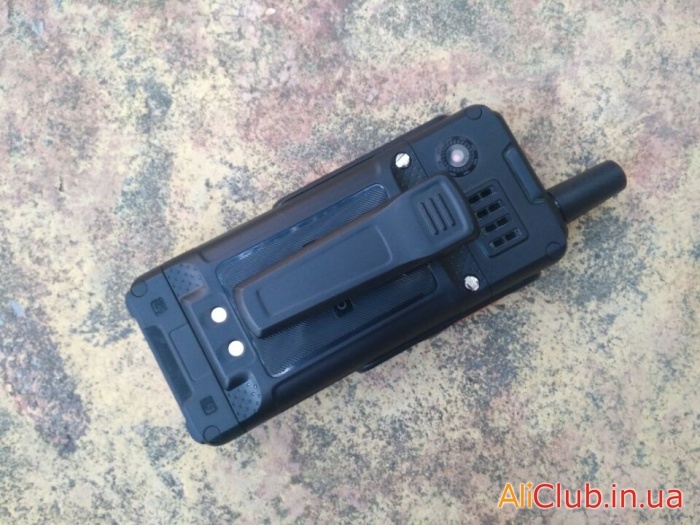 Also on the back side of the phone is a fairly large speaker, and a simple camera. 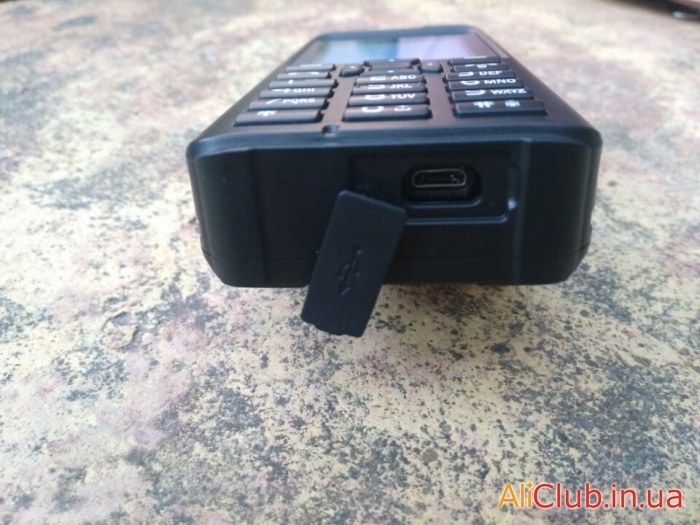 The only connector on the phone is microUSB, located at the bottom and closed with a rubber cover for protection from water.